Working amidst the surroundings of an attractively designed executive or home office is always a pleasure. And for visitors arriving at reception being met with a striking, branded backdrop, their first impression will be most memorable. 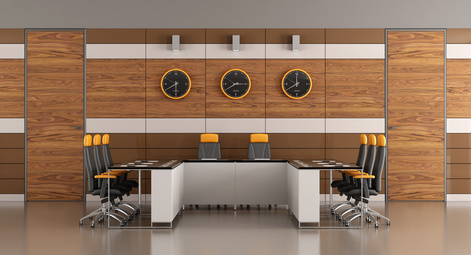 Wood veneers can be used to great effect in any office or commercial environment. Stunning boardroom and reception suites, beautiful desks and any furniture, free standing or fitted, can be enhanced with decorative wood veneers. They can also be used to bring standard features to life, such as fire check doors. Impress visitors and attract the right attention with a bespoke wood veneer finish reception suite, complete with your logo inlaid into the wood. This is called marquetry and is one of the most specialist wood veneering services undertaken by master craftsmen. The effects are striking and really do create a memorable impression. 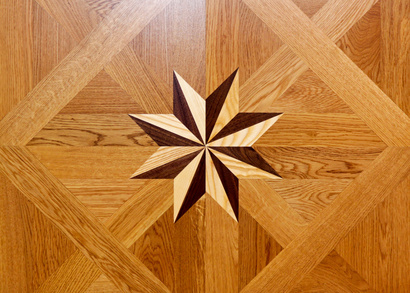 Marquetry can be used to place logos and coats of arms into any wood veneered product. This impression can continue when the veneer theme is carried into board and meeting rooms and executive offices. Perfectly matched wall veneer panels, veneered tables and display cabinets complete the look. If you have been commissioned to create an alluring home or executive office, then we can provide expert advice on choosing the perfect natural wood veneer, cut and matching technique. You may wish to opt for one of the popular standards such as maple or beech, but if you are looking for something that inspires fascination, why not consider one of our more unusual timbers? Take a look at our wood veneers A-Z for inspiration and then please get in touch to discuss your individual veneered office requirements.